Estes Cemetery is nestled at the end of a dead end road on Joe Pool Lake. Thanks to the following GPGS volunteers for recording Estes Cemetery in June 2010: Tom Cogdell, Carol Franklin, Howard McCalla, Rena Yarach. A follow-up was done in March 2012 by Lynn Shumaker and Regina Shumaker. This cemetery was established in the mid 1800 by James Estes. He and his wife had migrated from Missouri and he dedicated an acre of his land as a cemetery when his wife, Sarah passed away in 1857. That same year he had a granddaughter that died and was buried there. Over the next ten years various family members were buried on the property before it was opened up to friends and the community and surrounding areas for burials. 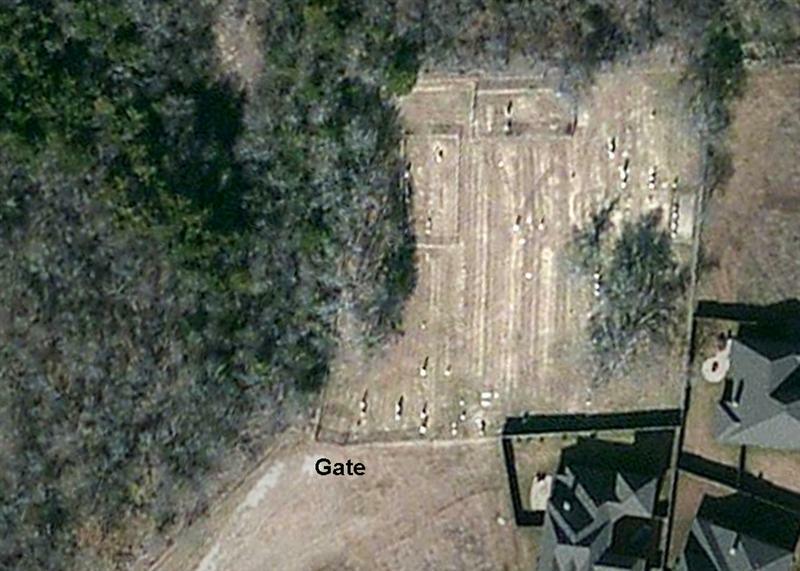 It was not until the 1970’s that Grand Prairie annexed the cemetery and surrounding area into the city limits. Also about this time is when the Army Corp of Engineers began planning and construction of Joe Pool Lake. 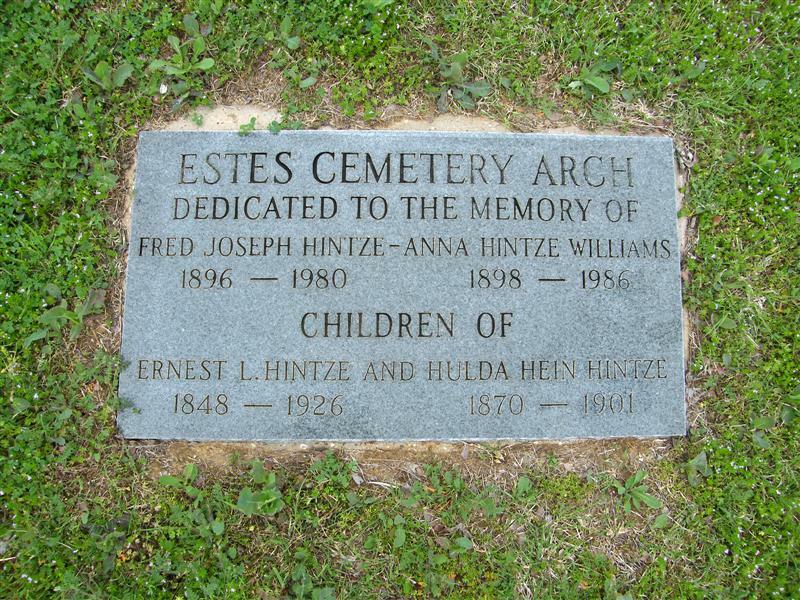 Of course ghost stories can abound with any cemetery but Estes has it’s share. It is the resting place for two known Confederate soldiers but a story says it is the burial of several Civil War Veterans and that flashes of light like fire from the end of a gun can be seen and heard at night. Many of those buried at Estes are women and children. So, of course there are stories of someone in white crossing the road and disappearing and voices of laughter and even a story about a child’s hand print being left on the inside windshield of someone’s car one night. It is no wonder that for decades the cemetery was vandalized and fell into ruin until a group of descendents met in the early 1990’s to determine how to handle the problems within the cemetery. The gate and fencing had been destroyed as well as tombstones and markers broken, and knocked over. With over 150 graves, there are many markers that did not survive the destruction that had been wrought through the years. The cemetery was in great need of being restored. Those who met formed a plan and an association. With the help of different civic organizations including the Boy Scouts, Volunteer Fire Fighters, and others, the cemetery received a much needed facelift. It once again is graced with fencing and an archway entrance. Now sitting on private property and having been cut off by the building of the lake, and a housing development it takes some work to access. You can find a dedication stone for the new archway, a marker designating this as a significant historical site by the Grand Prairie Historical Commission, and a plaque showing Estes Cemetery as a Texas State Historical Site. It is a fitting memorial to the early Tarrant County settlers who lived here. 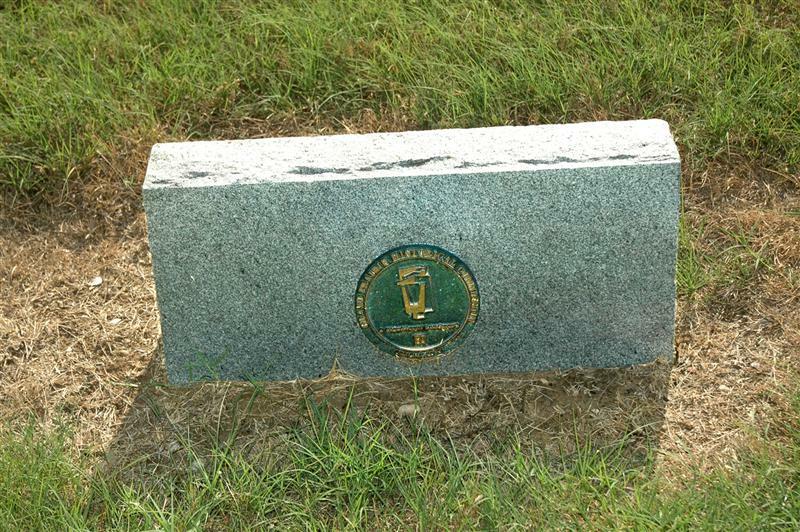 James Estes Memorial Cemetery, Inc.